Sabrina Salter traded a high-pressure job as a Boston meteorologist for life as an innkeeper on St. John. But storm clouds roll in when Sabrina finds Carter Johnson, her most attractive guest, tucked up in a hammock way past check-out time and he’s not just dead to the world, he’s just plain dead, with a bullet hole in his chest. This isn’t the first time Sabrina has seen a dead body, and the island police are well aware of that. Thanks to her checkered history, not to mention the fact that she was the last person who saw Carter alive and far from entirely clothed, she finds herself marked as the prime suspect. The U.S. Virgin Islands may be the sort of place where even defense attorneys wear flip-flops, but the laid-back life is over for Sabrina unless she can clear her name. 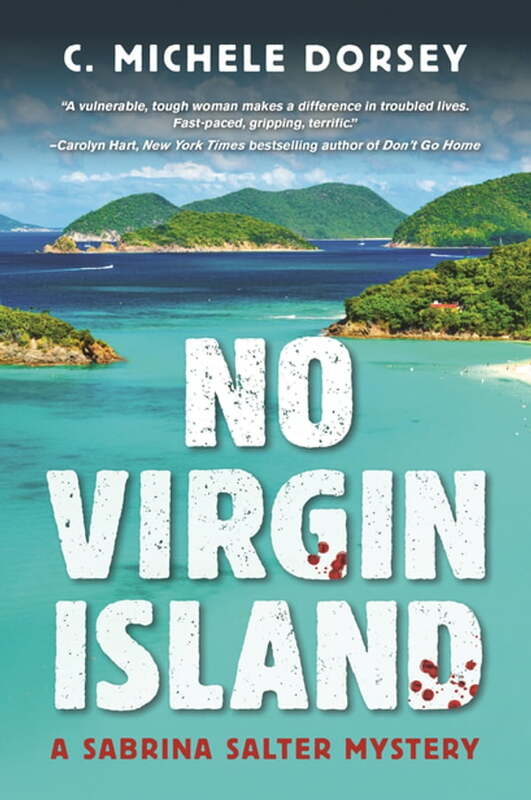 So, she sets out to solve the crime, only to find herself caught in a tidal wave of adultery, kidnapping, identity fraud and murder in No Virgin Island, C. Michele Dorsey's outstanding mystery debut.